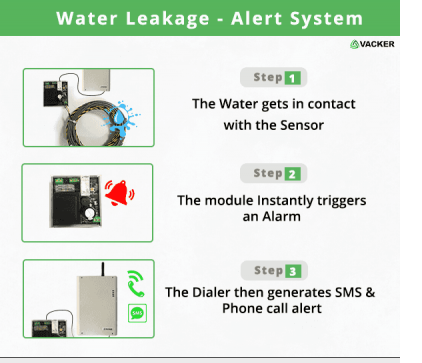 This detection system checks water leakage or flooding at home, office, flat, kitchen, bathrooms etc. In case of a water leakage or flooding of water, it will sense the leakage. Then it can make phone calls and SMS to alert you. you can install multiple systems in your house or office. Upon receiving a phone call alert, it will deliver a voice message indicating the exact location of the water leak. 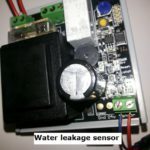 It can be used to detect water leak in any sort of applications. You can also adjust the sensitivity. If you don’t want to detect minor leak you can decrease the sensitivity and so on. Please click to see the main article on our water leak detection system.